Now 30% more authoritative than other best-of lists. Written as a soundtrack for The Cabinet of Dr. Caligari and Impossible Journey, Downing’s Silents is every bit as angular and expressionist as you’d expect. It’s not music for every day, but put it on next time you find yourself traversing an exaggerated, two-dimensional nightmare-scape and it’ll all make sense. Barely half-an-hour long, with almost as many spoken-word fragments as fully fleshed songs, I’m New Here is almost shocking in its concision. Scott-Heron’s cracked baritone practically radiates hard-won knowledge; kudos to producer Richard Russell for somehow realizing minimal trip-hop was the best context to bring that voice back to life. Chenaux’s acoustic guitar takes such a winding path through his songs, it’s a feat in itself that Driver’s piano fills the gaps so effortlessly. The result of the pairing is every bit as comfortable and natural as the title lets on; not all forces of nature are destructive, after all. 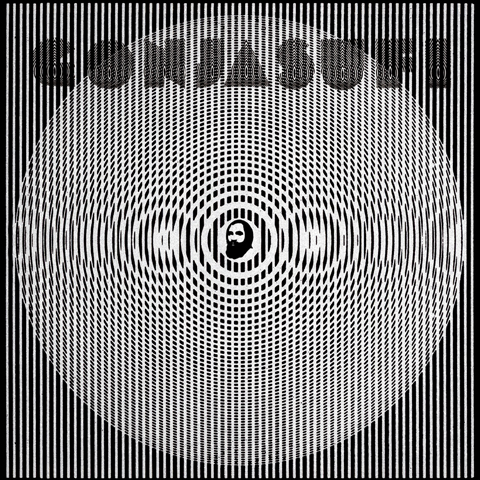 Just because he sounds like he might’ve wandered straight off the street and into the recording studio doesn’t change the brilliance of Gonjasufi’s full-length debut. The production is every bit as rambling as Sufi’s rasp of a voice, mixing fuzzed-out skronk and smooth vinyl soul into a gloriously messy whole. Black Noise is so full of clicks, chimes and multilayered rhythms that the “minimal techno” tag seems somewhat inappropriate. It’s only minimal in the sense that there’s nothing extraneous here, that every subtly shifting beat has been thoroughly considered, judged and carefully compiled, like a musical house of cards.